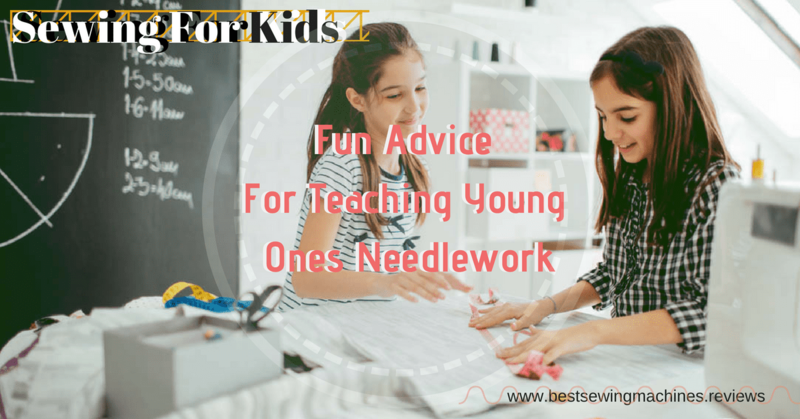 If you’re always on the lookout for fun activities to try with your kids, needlework could be the ideal choice. Fun, practical and, above all, simple enough for even a small child to get to grips with, sewing for kids is one wonderful way to teach your child new skills and keep them entertained at the same time. Here are some top tips if you’re keen to teach your youngsters how to get started with sewing. At What Age Can Your Child Begin Sewing? It’s always a good idea to wait until your child shows an interest in sewing before trying to start them off with this new hobby. While it depends very much on your child and their own personality and interests, many children, if they see you sewing at home, will often ask whether they can have a try themselves by the time they reach kindergarten age. In general, a sewing machine isn’t a good idea for a child under 6, but by the time they’re 8, children can often manage independently. Rely on your child for guidance. If you’re starting your youngster off with a sewing machine, they may need some help to get to grips with controlling the fabric and the pedals at the same time. You should begin by steering the fabric for them while they use the pedal, and this will help them to develop a feeling for speed control without accidentally hurting their fingers with the needle. Always make sure that you don’t start your child off on a toy sewing machine since they are usually very poor quality and can be frustrating to use. Start your child off on a basic real machine. Your child has to be aware that sewing quickly doesn’t necessarily mean sewing any better, so cultivate your patience and allow your child to sew as slowly as they like. If you allow your child to choose every element of their sewing experience they will feel more connected to it and enjoy it more. Allow them to pick the fabric, thread and patterns and experience the pleasure of creativity, although if you feel you need to intervene because the fabric or pattern would be difficult to use, make sure that the experience isn’t too complicated. A difficult to use fabric paired with a complex pattern is a recipe for disaster. Sometimes it’s nice to practice the same thing again and again. If your child loved making a particular pattern and wants to make something identical the next time, that’s fine as it’ll be solidifying their comfort zone and helping their skills to improve overall. Even if they are using the same pattern they’ll be practicing skills like cutting, turning corners, adding buttons, stuffing and sewing in straight lines. Using pattern tissue is strictly for experienced sewers. Children need something much easier and stronger to handle, so trace the pieces on cardboard (for example, from a cereal box). It’s hard for anyone to sew on an imaginary line, but when it comes to teaching kids how to sew it can be almost impossible. Keeping an eye on the fabric’s edge so that it lines up properly with the throat plate is virtually impossible for a young child since they’ll be watching the needle instead, so draw the line to be stitched right onto the fabric until they’ve got the hang of it. Unless you want all of your fabric to be used up in seconds you should help your child with the cutting process. This is because, similar to cutting out cookies, kids always seem to want to cut right out of the center of the fabric instead of from the edges. Show your child how best to position their pieces at the fabric edges so that more pieces can be cut from the same piece of material. If you are teaching your child to sew by hand you need to make sure that you use the best type of thread for this sort of project. Upholstery or hand quilting thread is thicker and so won’t get tangled up like standard thread. Also, because it’s easier to handle, children will be able to thread the needle themselves. The threading process is also easier if you use an embroidery needle rather than a sharp one since their eyes are bigger and simpler to thread. Although some people think that it’s best to use thread that has been doubled over or tied to the needle, this isn’t always the best solution since if they make a mistake it’s hard to correct it. Thread the needle as normal and then if they make a mistake they can just take off the needle, unpick stitches that have gone wrong, rethread the needle once more and begin sewing again. If you think your child isn’t quite ready for fabric, you could try something a little different but which gives your little one the chance to handle thread and learn the technique of putting their needle into and out of the material. A Styrofoam plate is the ideal solution since it is easy to handle and holds the stitches well on a tight and structured frame. Your child can choose some embroidery threads and a large eyed needle and stitch around a pattern that you’ve drawn on the plate to make a ready-framed picture. They’ll have fun and they’ll also be learning about the basics of hand sewing. When it comes to needlework, start your child off in the right way and they’re sure to love sewing just as much as you do. It’s such a valuable skill in life, and learning it will stand your child in good stead forever. You can find current reviews and recommendations for the best kids sewing machines here!